Please browse through a variety of our testimonials, some are from new clients and others are from our longstanding clients. After recently moving in this father and daughter are commenting positively on their experience with Empire Estates. After recently moving in this tenant is commenting positively on his experience with Empire Estates. These tenant are commenting positively on their experience. Another happy tenant commenting positively on his experience. A tenant who has recently moved in with Empire Estates commenting on his positive experience. After having recently moved into the property these tenants wanted to share their experience. A previous tenant commenting positively on his experience with empire estates. These tenants are commenting positively on their experience. This tenant has just moved in and is commenting positively on his experience. This happy tenant is pleased to talk about his experience. Tenants commenting positively on their experience with Empire Estates. This family have just moved in to a property with empire estates and are extremely happy. Tenant giving feedback on his experience. A new tenant commenting positively on her move-in experience. Another happy tenant commenting positively on the service he received form Empire Estates. Empire Estates have just found tenants for another happy client. This landlord has multiple properties rented through Empire Estates. These clients are over the moon after a successful property sale. Another property vendor giving a testimonial of his experience with Empire Estates. This tenant of Empire Estates for over 18 months is giving positive feedback. Another happy tenant who is pleased to give some positive feedback. Another happy client who just sold her property with Empire Estates. Another satisfied client commenting positively on Empire Estates services. "I'm glad I chose your agency and your wonderful team whom being on first name basis feel that have made some friends. 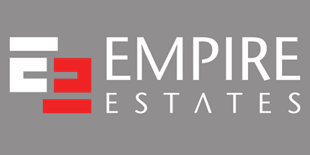 Will sort of miss our daily chats, Would like to say to anyone out there that is thinking of selling their property ,that I could without doubt recommend Empire Estates. The team really do take all the stress out of the whole procedure. it has really been a pleasure to meet them all, I would not hesitate in the future to use Empire again and would also pass their details onto anyone looking to sell." I have been dealing with Empire Estates for over 15 years, they have always proved to be honest and hard working. 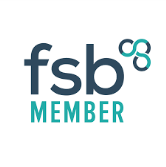 They have provided an unrivalled customer service and have a good team of staff. I feel that it is really important to mention that they communicate with you on a regular basis. I would highly recommend them. Empire Estates service has been excellent since me and my family have been dealing with them regarding our properties, they offer a good service and are pleasant to deal with. I have never had any complaints whatsoever.